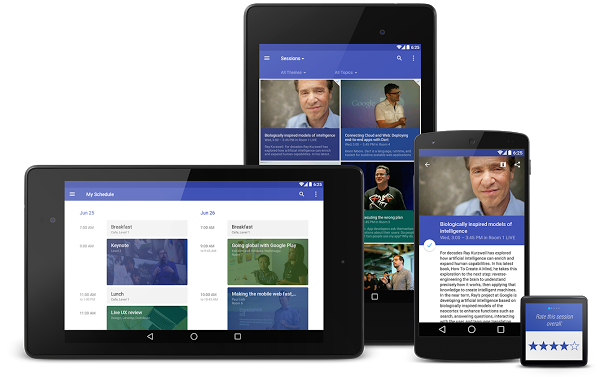 Material Design is the new design language for Google it’s going to be put in place across all their properties from mobile to web and beyond. Google is also interested in helping developers update their apps so that devices running pre-Lollipop builds of Android will see Material Design in their apps without having to get Android 5.0. The way they’re helping is by updating the AppCompat libraries, as well as introducing new RecyclerView, CardView and Palette libraries. “a common API layer on top of the backported implementation and the framework implementation. AppCompat v21 delivers an API and feature-set that is up-to-date with Android 5.0″. The Android Developers blog announcing the new library, has introduced a new Toolbar widget. There’s a lot of information on there on how this can be implemented into apps pre-Lollipop, stating that it’s already been implemented in apps such as the Google I/O Android app and the Google Play Newsstand app which was updated recently. Google seems to be doing their level best to help developers implement the new design guidelines into their apps, no matter what version of Android they’re running. Hopefully we should see a lot more older apps implementing Material Design properties, and even though it won’t be true Material Design, they will at least look the part.